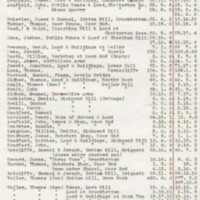 a. Typed entries in rating book in Mellor Church Vestry Mill owners. 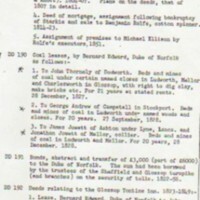 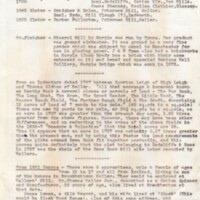 d. Typed document "Valuations of Mills In Mellor"
“Misc. 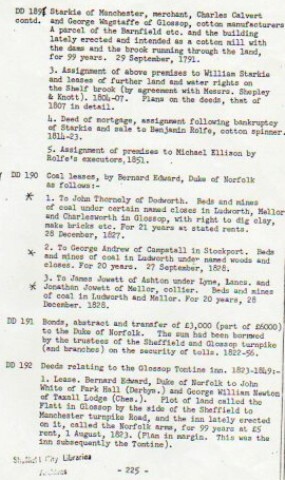 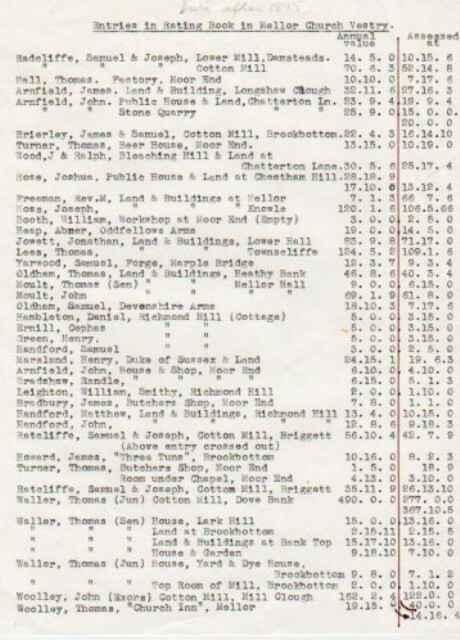 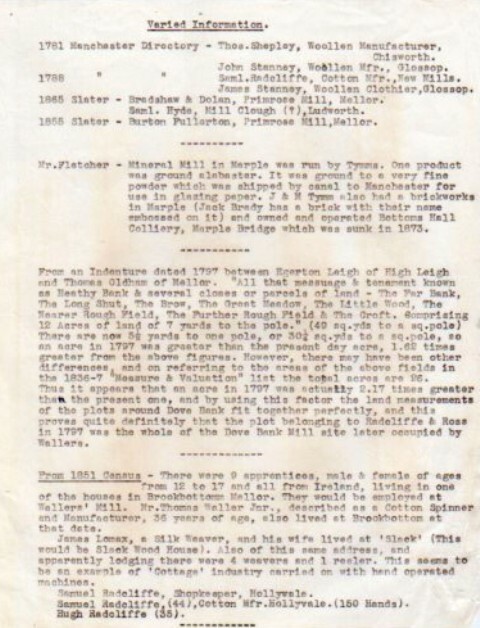 Material relating to Mills from various sources : 1828-1937,” Marple Local History Society Archives, accessed April 22, 2019, https://www.marplelocalhistorysociety.org.uk/archives/items/show/2486.